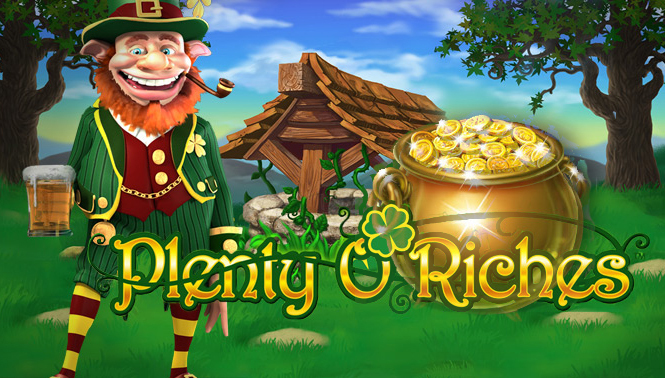 Plenty O’ Riches is one of Winner Casino’s games of the month which means that players can earn double comp points while playing it. After collecting enough comp points, players can redeem them for cash which can be used to play any of the casino’s other great games. Plenty O’ Riches is a five reel, twenty payline slot game from Playtech which has three bonus features. The game is based upon a lucky leprechaun from whom you can win golden coins. The Wishing Well bonus feature is triggered by spinning 3 or more Wishing Well symbols. The wishing wells will then release coins which the leprechaun will come and collect, if the feature is triggered by 5 bonus symbols then the prize is multiplied by 10! The End of the Rainbow bonus feature requires the player to climb up a mountain to a massive pot of gold which hands out cash prizes, the higher up the mountain you get the bigger you cash prize. A 20,000 coin prize can be won from this feature. There is also a Free Games feature which grants 12 free spins each of which has a 5x, 2x or 1x multiplier.